At Park Avenue Dental, we are committed to helping you have a beautiful smile you feel confident about showing off. If you are considering dentures, the Park Avenue Dental team is here to help you through every step. Made of acrylic resin, a denture refers to a removable dental replacement. Depending on your needs, you may benefit from a set of complete dentures, which replaces all of your teeth, or a partial, which is designed to fill in missing teeth while preventing other teeth from becoming improperly aligned. Most individuals considering new dentures have lost all or most of their teeth. If you have some natural teeth left, a partial denture may be the best solution. Not only does a denture assist in improving speech and chewing ability, but it can also support your facial muscles, thus improving your smile and overall appearance. When considering new dentures, our patients often have questions about the process and what they should expect when getting new dentures. 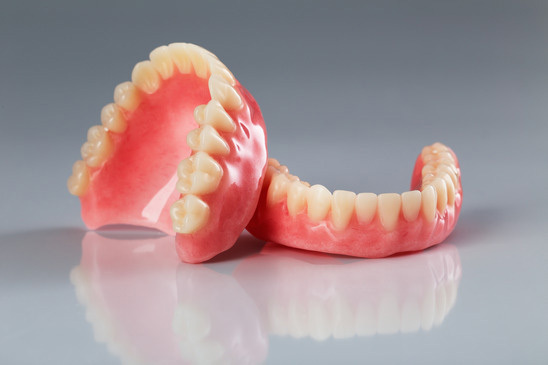 Our goal is to provide affordable dentures in the most comfortable manner possible. The process generally takes about one month and it will require several appointments. During the first appointment, we will make an initial diagnosis and impression to determine the proper dimensions and jaw position. We will also discuss color, fit, and shape. Measurements of your jaws and the space between your jaws will be given to the dental laboratory along with the shade or color of your natural teeth so that a custom denture can be made for you. The lab will make a model or mold of your jaw and use a wax base to carve a precise replica based on the information provided. Before your denture is completed, a wax try-in will be done at our office so that any necessary adjustments can be performed prior to the final denture being created. Request an appointment to acheive your brightest smile with custom dentures. During the first few weeks, many patients may feel as though their denture feels bulky or awkward. Eventually, your mouth will become accustomed to your denture. Expect that it will take some practice inserting and removing your dentures to feel comfortable with the process. Proper fitting dentures should always fit into place with ease. It is important that you never try to force your denture into place, as this could cause it to break or bend. It may take a little time to become accustomed to eating while wearing a denture. Begin by eating soft foods and remember to chew slowly. Always use both sides of your mouth. You may return to the foods you normally eat after you become accustomed to chewing while wearing your denture. Take care when eating foods with shells, sharp-edged bones, hot foods, and hard foods. Many people are naturally concerned about how wearing a denture will affect their speaking ability. It may take some practice to pronounce certain words, but most people find that their speech is greatly improved while wearing a denture, particularly when compared to how their speech is affected with missing teeth. When handling your dentures, it is best to do so over a folded towel in case you should accidentally drop them. A denture brush should be used to remove food and plaque daily. Doing so can help to prevent them from becoming permanently stained. Special care should be given to cleaning under the metal clasps of the dentures to prevent plaque from becoming trapped beneath the clasps. Your denture should be kept in water or a soaking solution at night to ensure they stay moist and prevent them from losing their shape. Keep in mind that even if you have dentures, good oral care is still important. A soft-bristled brush should be used to brush the tongue, gums, and palate each morning. Over time, it may become necessary to adjust your denture. This usually becomes necessary because the mouth changes naturally with age, which can impact how your denture fits. A loose denture can result in a number of problems, including infections and sores. If you notice that your denture is not fitting as well as it once did, it can be adjusted. In the event that your denture cracks, chips, or breaks, it is important that you bring it in immediately. Many times, we are able to make necessary repairs or adjustments, frequently on the same day. New dentures may be required replace your old set if they become lose or show significant signs of wear. If you still feel hesitant about the idea of wearing a denture, that is perfectly natural and understandable. We are always here to speak with you about your concerns. Our staff has extensive denture experience and can ensure that you feel happy and confident with your decision to wear dentures. When you choose us as your denture provider, you can enjoy numerous benefits that can greatly improve the quality of your life. Our goal is to work with you to create your new dentures as quickly as possible while providing fast, efficient turnaround for necessary repairs or adjustments. We are an experienced denture provider who understands how important your smile is to you. 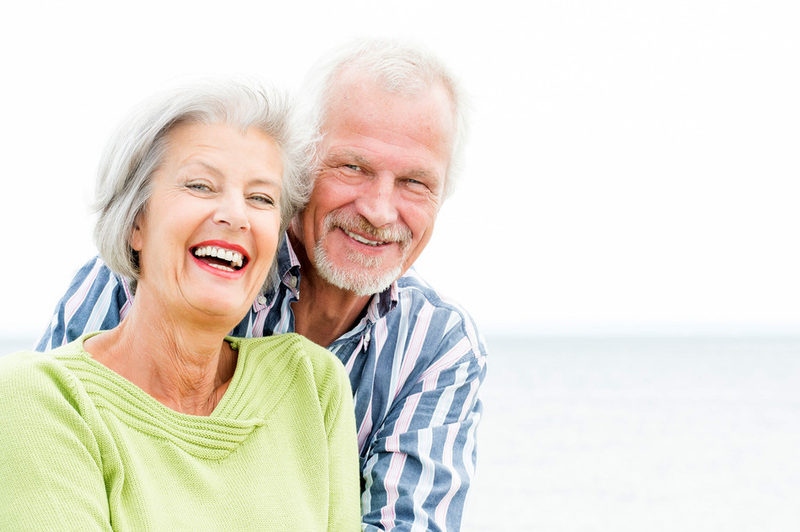 We are pleased to offer a range of denture styles to suit your needs and lifestyle. At Park Avenue Dental, we offer custom, high-quality affordable dentures.